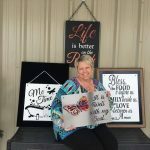 This piece is sold as a one of kind product and there is only one available for sale. 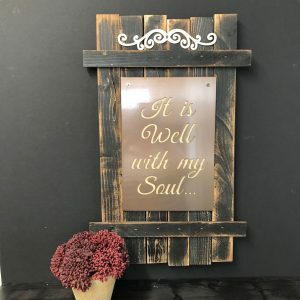 Featuring our It is Well with My Soul design on a black shutter. 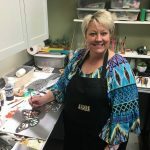 This piece is sold as a one of kind product and there is only one available for sale. 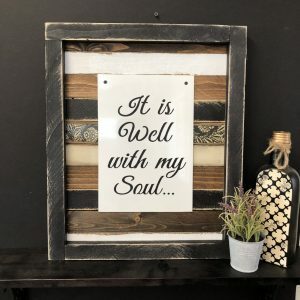 Featuring our white It is Well with my Soul design on a black picket frame. 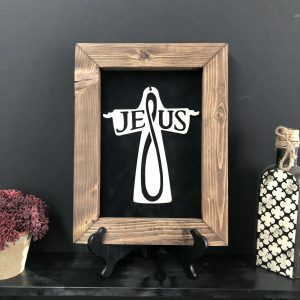 This design comes in two different versions! One is the free standing statue, one is the stand alone piece. The stand alone piece looks lovely framed or hanging without a frame! Available in three of our finishes! 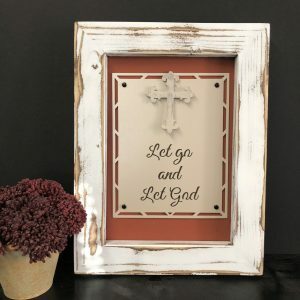 This new design by Lori, has added dimension with the fold down cross that really brings these signs to life. Available in four of our finishes, in stock and ready to ship.